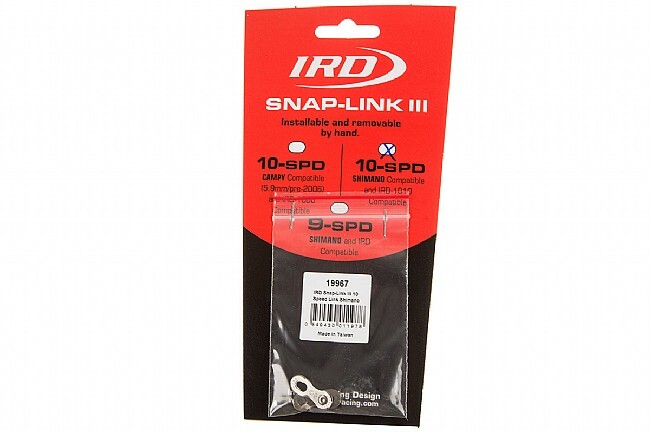 The IRD Snap Link III 10-speed master link makes installing and removing chains a snap. Its tool-less free operation means there's no need for pliers or chain breakers to remove chains for cleaning or replacement. Available in a Campagnolo or a Shimano compatible version.